If you know a cyclist, you will know how obsessed they are with their premium bikes and accessories. But that’s not where things end. When they are not riding or cleaning their bikes, they do other things like reading. Yes, no matter what type of rider they are, they simply enjoy reading the best cycling books. Here’s a list of some of the best cycling books every cyclist should read. Trust us, if you live and breathe cycling, these bicycle books will take your imagination on a never-ending trip. We are sure you are aware of the Lance Armstrong doping scandal. You might have even watched Lance’s Interview where he confused to Oprah Winfrey that he doped. But that’s not it to the world of doping. Tyler Hamilton will take you deep into the minute details of doping that will give you Goosebumps. He will also walk you through cycling 20 years ago that surely makes this the best cycling books. If you didn’t know, Jacques Anquetil is one of the most outstanding figures in the history of cycling. He was the first man to win the Tour de France five times. He was also the first to win the all three grand tours (the Tour de France, Vuelta a España, and Giro d’Italia. But that’s not it; Jacques was also the first to win both the Tour and Vuelta in the same year. While his cycling success received a lot of attention, it was matched only by the infamy of his complex and unconventional private life. This biography reveals more than just his races where Anquetil seduced his doctor’s wife. He also and acted as stepfather to her children before asking his stepdaughter to bear him a child. While this tri certainly had an ending, there was no end to infamy. The book contains exclusive contributions from Anquetil’s family, friends, teammates, and rivals that will keep you hooked until the last page. If you believe that a cyclist is measured by his skills while riding, you’re mistaken. This book will make you believe that a cyclist is measured by his/ her ability to suffer. Add this best cycling book to your wish list and we are sure you will enjoy and recommend others. Throughout his career, Eddy Merckx aka ‘The Cannibal’ won 525 races. This list includes five Tour de France, four Giros d’Italia, two Tour de Flanders, three Paris Roubaix’s and three World Championships making him the greatest cycling champion of all time. In this bicycle book, the author manages to sum up The Cannibals entire career. 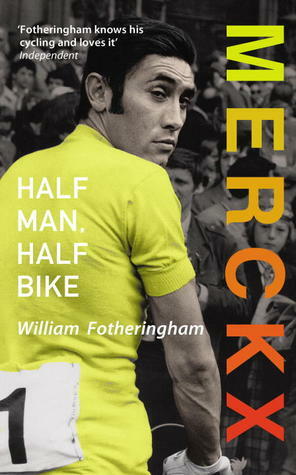 If you are unaware of who Eddy Merckx was, this best cycling book is a great place to start. In the year 2000, Tim Moore recounts his goal of riding the entire Tour de France itinerary. While as he attempts to ride the Tour de France Route, there are several stories that are so ridiculous to be true and then there are others that will leave you praying, it didn’t happen. Whether you are looking to laugh or get all serious, this best cycling book will leave no stone unturned. Read Tim Moore’s interview by Podium cafe here. 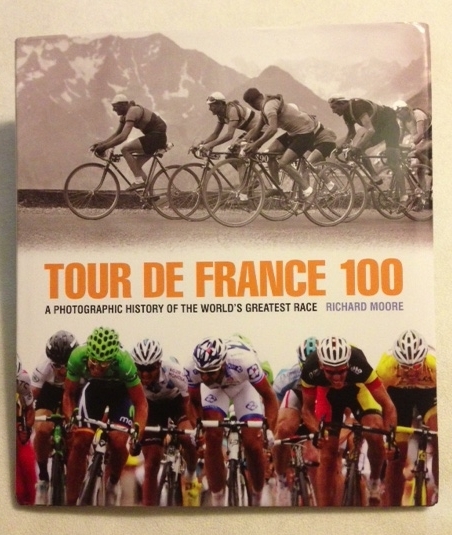 While not everyone might prefer reading, the Tour de France 100 will take you through each year of cycling captured in a photograph. The pictures in this cycling book are so stunning that a story through a lens will make you feel as if you were standing and watching the race from the edge of the road. 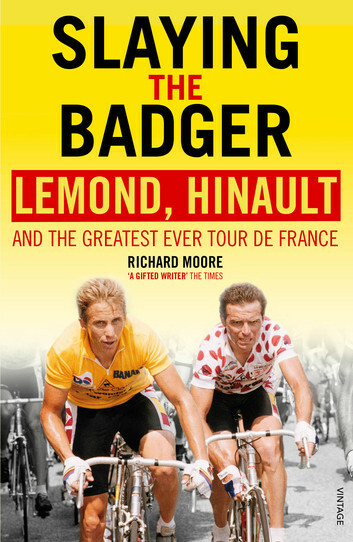 Another best cycling book ever written till date is Slaying the Badger. During the 1986 Tour de France, the five-time winner Bernard Hinault was supposed to hand over the leadership of his La Vie Claire team to rising star Greg LeMond. He was also supposed to help LeMond win his First Tour as it was to be payback for LeMond’s loyal support the previous year. But instead of supporting LeMond, Hinault went on the attack, claiming he was attempting to wear down LeMond’s rivals, but looking a lot like he was going for his sixth Tour victory. Read to find out what really was going on? Have you read any of the above-mentioned best cycling books? Comment below and let us know your thoughts on the same.